Wild orcas need all the protections they can get to survive, and conservationists are scrambling to help them out. The National Marine Fisheries Service announced this week that it's considering whether to expand the protected area for the Southern Resident Killer Whale population, a group of orcas off the Northwest coast of the U.S. that's been dwindling in recent years. 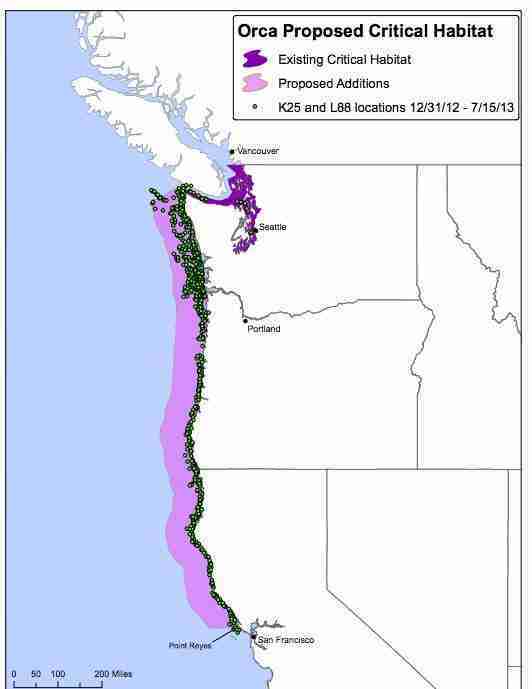 Already protected in a 2,560 square-mile swath of ocean off the shores of Washington State, the orcas could get protection along the coasts of Oregon and California as well. The proposed additions stretch as far south as Point Reyes near Sacramento. The protected area designation requires that federal officials limit activities that could harm the whales, like the use of sonar and commercial shipping. Last year, the Center for Biological Diversity put forth a petition advocating for the whales' winter feeding grounds to be added to their protected habitat. "Killer whales are at a crossroads, and protecting their foraging habitat along the West Coast will be essential to their recovery," Miyoko Sakashita, the Center's oceans director, said in a release. 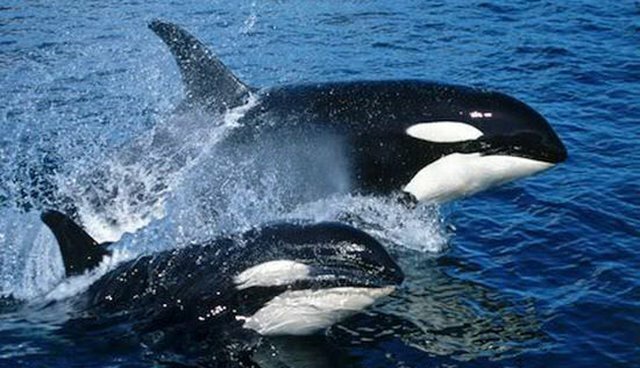 Decimated by wild captures in the 1960s and 1970s, the Southern Resident Killer Whale population has faced threats from severe toxic contamination as well as the decline in their major food source: Chinook salmon. With just 79 members remaining, the protection could be critical for the whales' survival as an icon of the Pacific Northwest. 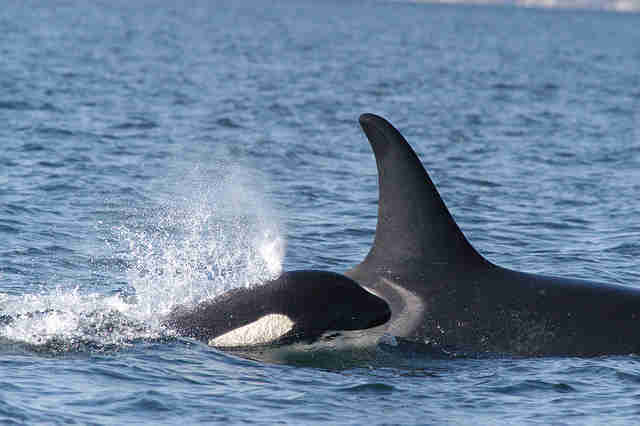 CORRECTION - This article previously stated that there are 81 members of the southern resident killer whale population. There are 79 members.